In a posh French Restaurant in Ann Siang Road, Mimi’s boyfriend Kaka asked, “Mimi, today is Christmas day, shall we have a slice of Bûche de Noël as dessert?’” Mimi nodded her head shyly and that was her nicest dessert she have ever had in years. Kueh Neng Ko or “Jidangao （鸡蛋糕）” are traditional cakes prepared by the Malaysian and Singaporean Chinese for prayers usually to the ancestors or gods. In my childhood years, before any big festivals where offering to the ancestors or deities were required, my aunt would make this kuey neng ko, ang ku kueh and my mum will make another type of steamed rice cake called “huat kueh”. They will share with each other for the prayer sessions. 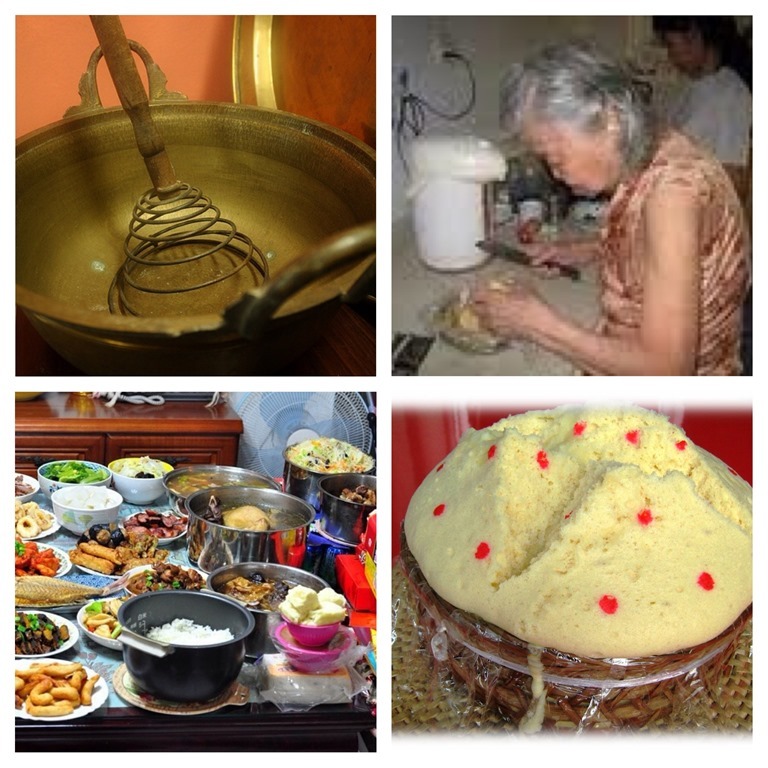 The picture shows the traditional egg beater, an old woman preparing the traditional cake; the traditional kuey non ko. 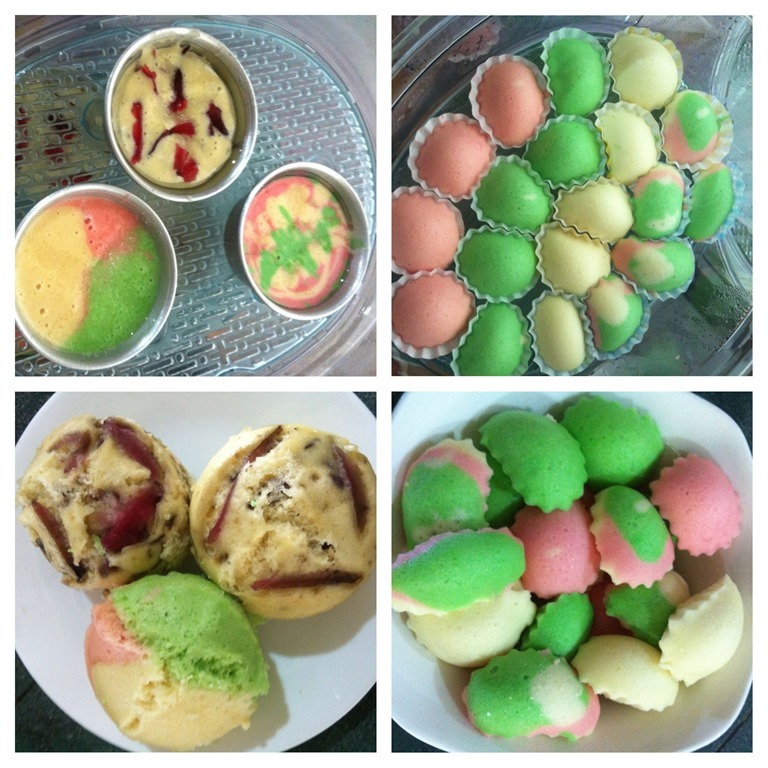 Mimi’s adverse reaction to Kuey Neng Ko is typical of many Malaysian teenagers where such traditional cakes were ignored and belittled. 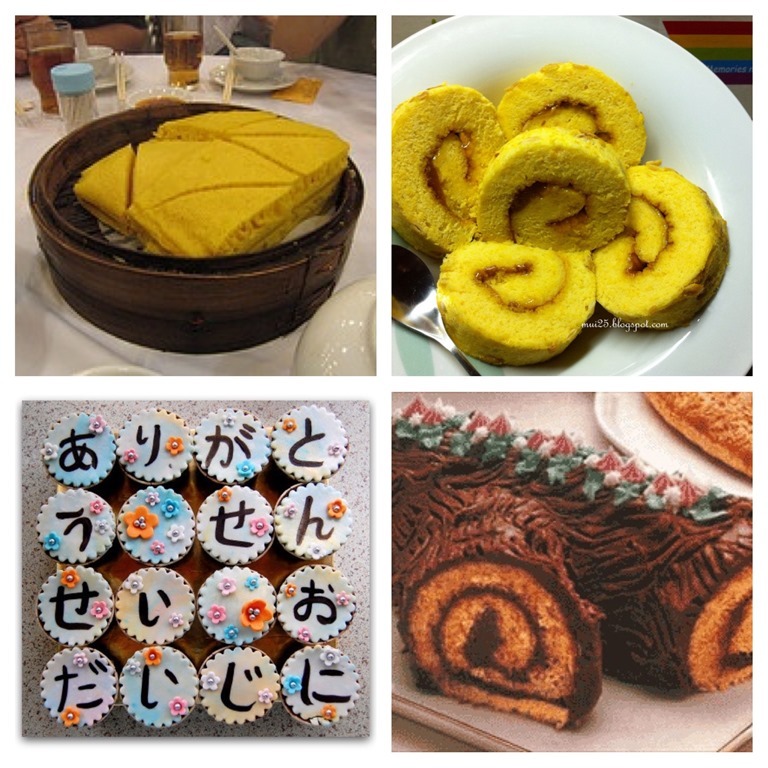 What Mimi did not know is that the famous Ma La Gao (commonly sold in Hong Kong Dim Sum restaurant) or Swiss Roll or Japanese cupcakes and the French Buche de Noel essentially have the same ingredients except slight differences in the ratios between the ingredients and its method of preparation. 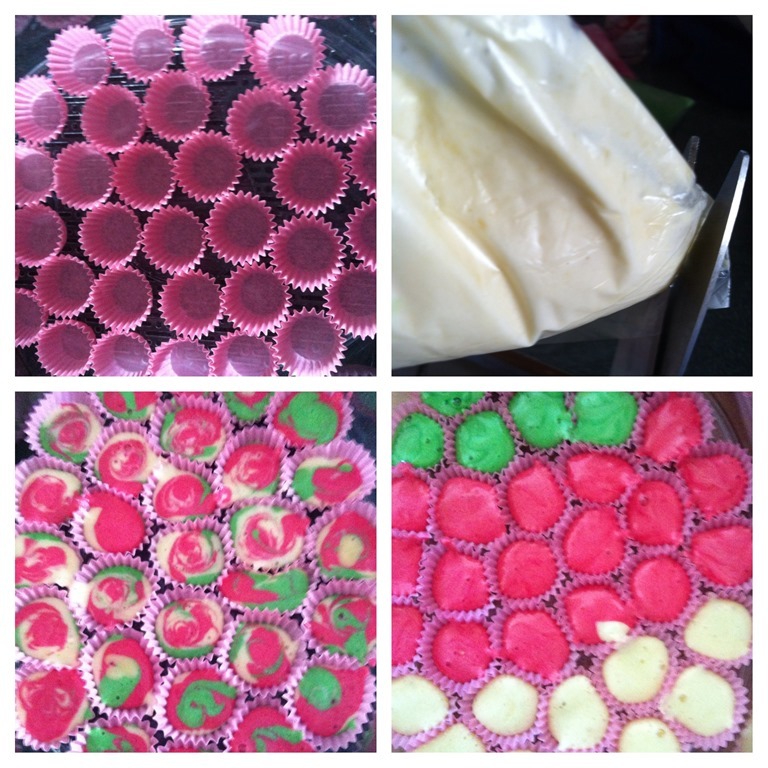 Swiss rolls, Buche de Noel and Japanese Cupcakes utilize the baking method, whereas kuey neng ko uses steamed method. Though both Ma La Gao and Kuey Neng Ko used the steamed method but Ma La Gao recipes uses fats (vegetable shortening, oils or butter) in the preparation but Kuey Neng Go have none. Theoretically, Kuey Neng Ko should be a healthier choice than Ma La Gao and Swiss Roll but why is it outdated and failed to win the heart of youngsters nowadays? WHAT IS KUEY NENG KO? 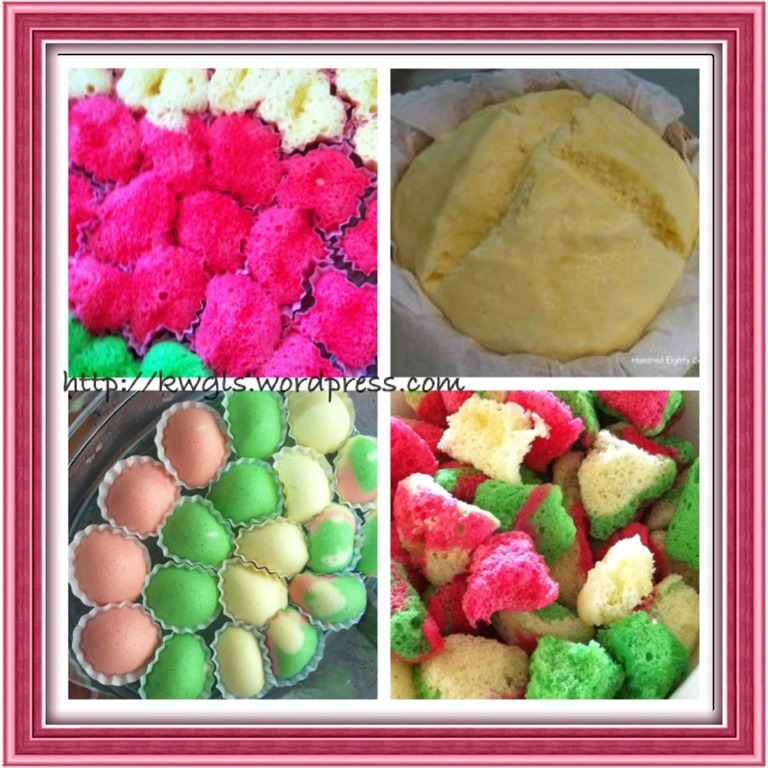 Kuey neng ko is synonymous to “Sponge cake” in bakery terms and the best equivalent will “Chinese Steamed Sponge Cake”. Eggs is omitted in the name because it is implicit in the word sponge cake. In Western Countries, steamed method of cooking are mostly limited to vegetables (of course there are some steamed cakes like steamed fruit cakes and puddings) but the Chinese have used this versatile method in preparation of its cuisines ranging from steamed meats (fish), dumplings, rice and the famous dim sum. IS KUEY NENG KO A SPONGE CAKE? “Sponge cake is a cake based on flour (usually wheat flour), sugar, and eggs, sometimes leavened with baking powder which has a firm, yet well aerated structure, similar to a sea sponge. ……. 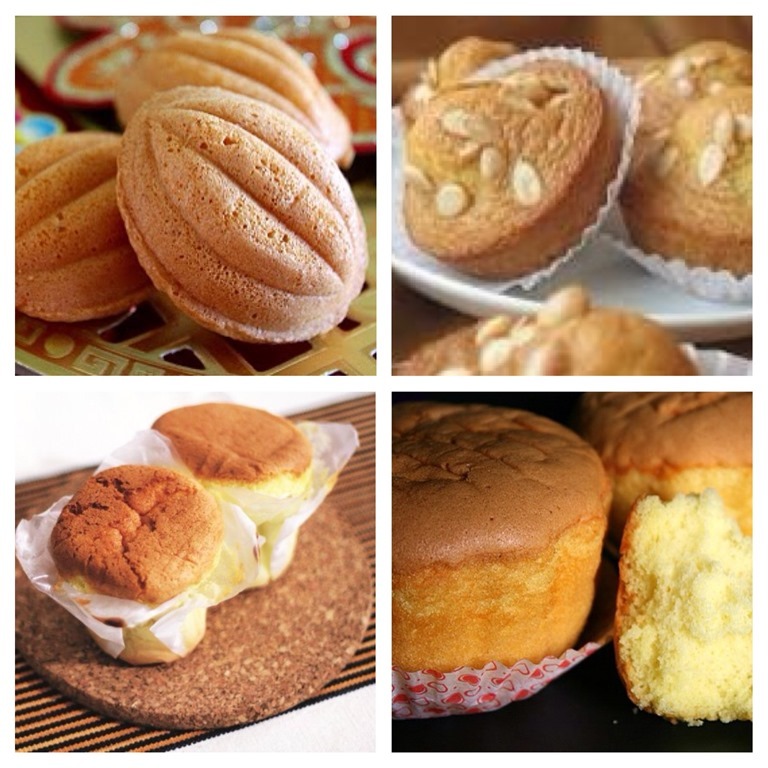 Based on the above definition and descriptions, Kuey Neng Ko clearly is a sponge cake. It has eggs, sugar and flour. It is firm and a rather well aerated structure. In fact, the recipes stated in the above quotes are the same as what I have used to make the cakes. I will not dwell into the details of the above definition until I finish sharing with you how to make the Chinese steamed sponge cakes below. Thereafter, we will go into detail analysis of the failure of our traditional cakes. Some coloring or flavoring- You can select strawberry essence for red color and the pandan paste or essence for green color. Of course, color is optional but in order to make the cake have a new look, I have decided to play with the colors of the cake. Note that the ratio of eggs to flour to sugar is 1:1:1. 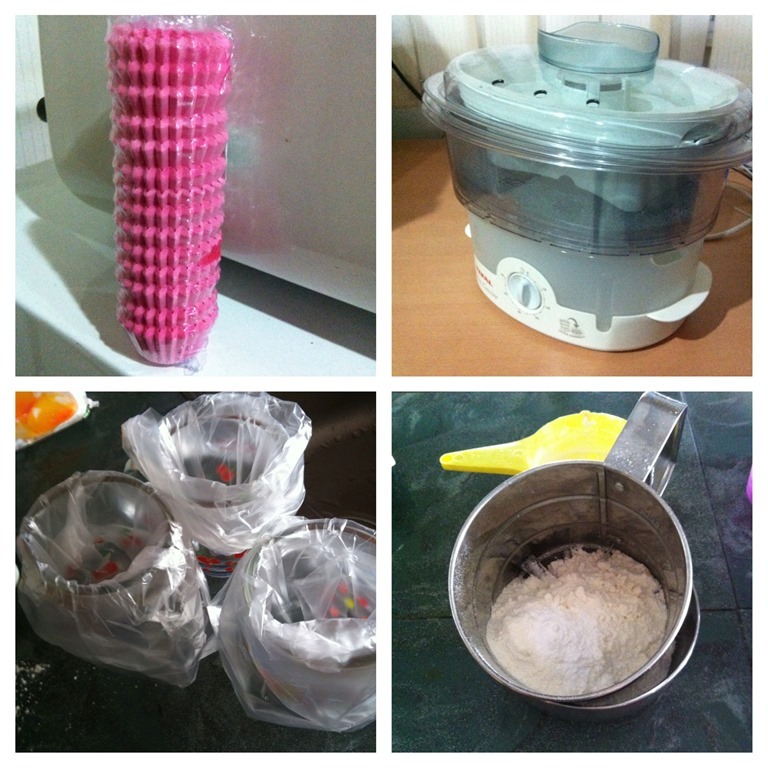 It will speed up your preparation as you can use the same container to do all the measurements. This picture shows certain cooking equipment that you have to get ready but all are substitutable. 3 glasses with a plastic bag each – If you do not want to color your cupcakes, you can omit this. A steamer – An electric steamer is not a must but the advantage of using it is you can ensure that your heat are consistent throughout the steaming process, just use the traditional bamboo steaming method. Some form of sieves to sieve the flour. 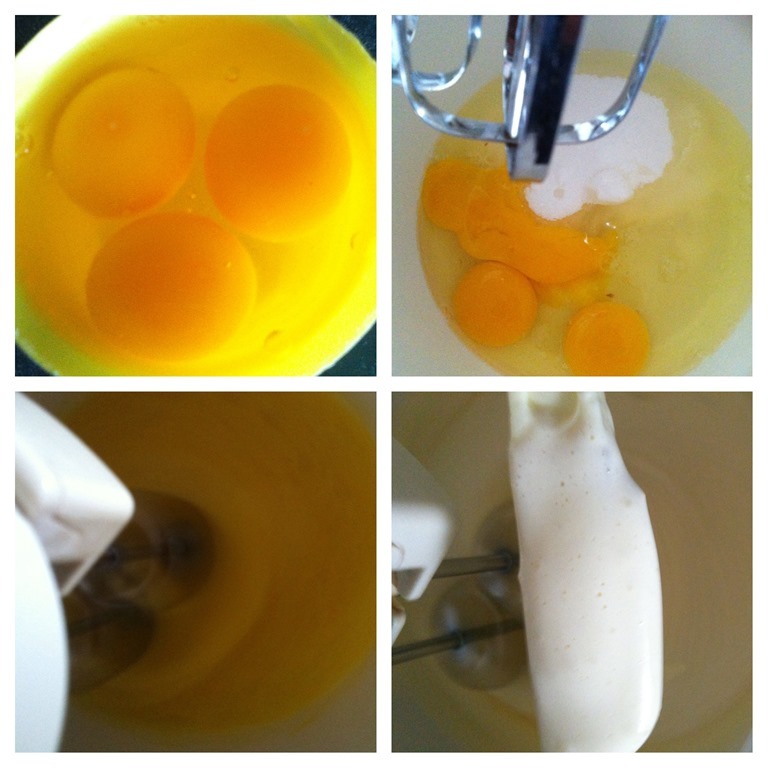 Crack 3 eggs into the mixing bowl (here 3 eggs is equivalent to one cup). Sieve the flour lightly into the beaten eggs and fold it gently using a spoon or a spatula. For me I have used the mixer of the mixing machine. This process have to be done gently. You want your steam sponge cake to be soft that means that you are saying you want as many air as possible in your steamed sponge cake. Folding gently will ensure the air will continue be trapped in the beaten eggs until it was steamed. Too rough handling will push all the air out and your end products will be something like a pan cake. Separate the batter into 3 equal portions. I have put the batter into a cup with a plastic bag on it. This is because I need to pump it into the small cups without the bags, it is rather difficult unless you are very meticulous and or other type of pumps. Coloring is optional. If you are not keen to put in the coloring or flavoring, you can go directly to the next step. 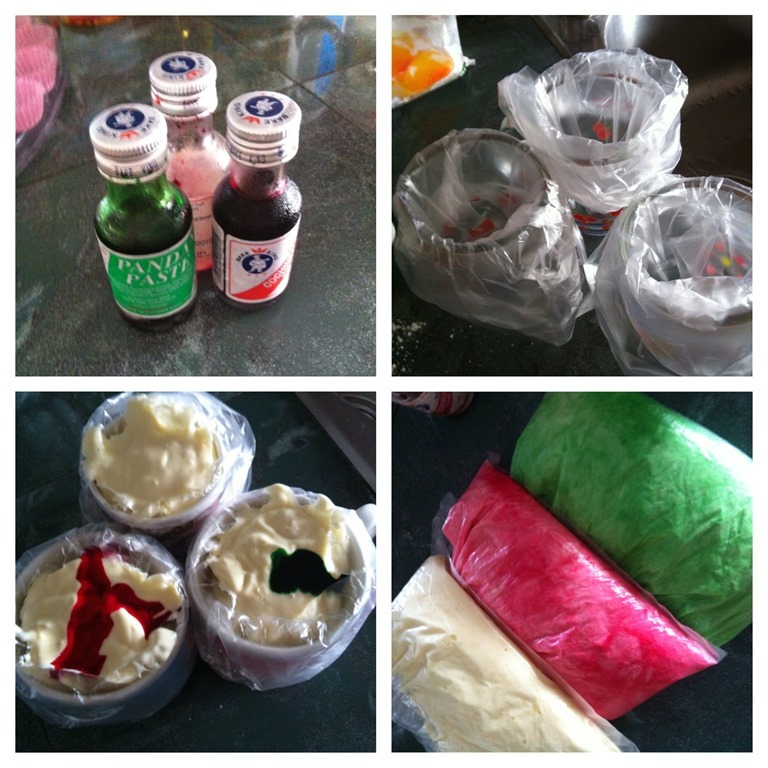 I have used the red/strawberry flavor for one portion and the other portion, I have use the pandan paste. Use a spoon to mix it gently until the color is even. I have decided to use coloring because I want these delicacies to look different from its traditional looks. In the steaming tray, line up all the cups nicely. Take one portion and cut a small hole at one of the corners. Pump in the cup at the design you desired. In this illustration, I have used the smallest cupcake cups. When the batter is pumped into the cup, it will push it towards the side and that simply means that your batter is very soft and will lots of air and expect the final product to be slightly fluffy. Steamed for about 10 minutes and your steam sponge cakes will be ready. Note as this is a very small cup cakes, therefore, it is rather fast to cook. I have intentionally choose this size for the cupcakes as they are one bite size with attractive colors. As you can see, the small cutie is full of holes meaning it is very spongy. Of course this can be further modified by adding little bit of fats (like butter, vegetable oil), using flours with high gluten such as bread flours and shorten the beating process such that less air is incorporated. It is rather addictive and within about 2 hours of steaming it, we have eaten half of the cakes. In another attempt to make sponge cakes, I have use 2 cups of flour, I cup of egg, 2 cups of sugar and 1 cup of tonic water and the result are like this. Therefore, The shapes looks much nicer but the texture is less spongy and compared to the 1st one. In a muffin size tin, the output resembles a muffin but is a healthier choice as it contains no fats. 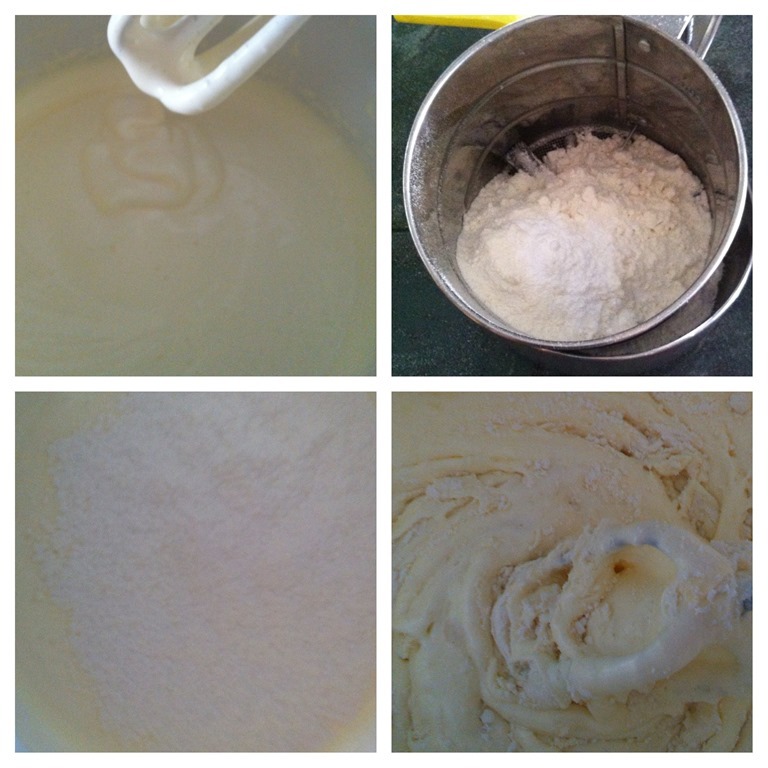 The quantity of flour in the batter. The Chinese believed that in order to pray to the God, the cake must “smile ‘meaning with some cracks in the shape of one cross shape. Only with this shape, the God will be happy and bring good luck to the prayers. However, in order to achieve this shape, the flour volume will accordingly be bigger in order to support the structure. This in turns means that less air will be trapped in the cake making the cake denser. No fats in the cake. As there are no fats in the cake, eaters will feel that the cake is rather dry and something will choke them if without a cup of drinks. Unlike Ma La Go, eaters feel the smoother feelings when they eat it. For Swiss roll, the combination of cream and various toppings have help to moisten the cake. As the traditional Kuey Neng Ko have only eggs as the main ingredients, its fragrance is very monotonous. For other sponge cakes, the incorporation of fats such as butter will give the cake some buttery aroma whereas the usage of cream and other flavor enhancers such as vanilla will cover most of the eggy flavor. 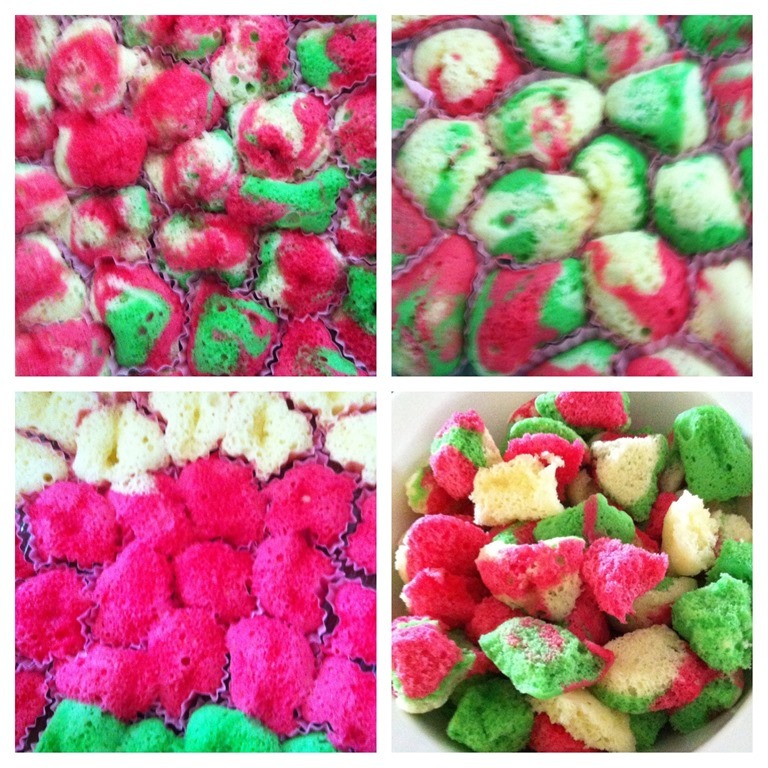 Kuey Neng Ko is definitely a much healthier snacks as compared to all other cakes that I have mentioned here as it is non fat and utilizing the steam method of preparation. In order to make this cake more acceptable to the taste of present society, one can consider to make the cake smaller and decorate it until it looks more appetizing. Lowering the volume of the flour used and incorporation of fats will greatly enhance the texture of the cakes. Use of alternative colorings and flavors will make the cake more appetizing when compared to the traditional steamed sponge cake. 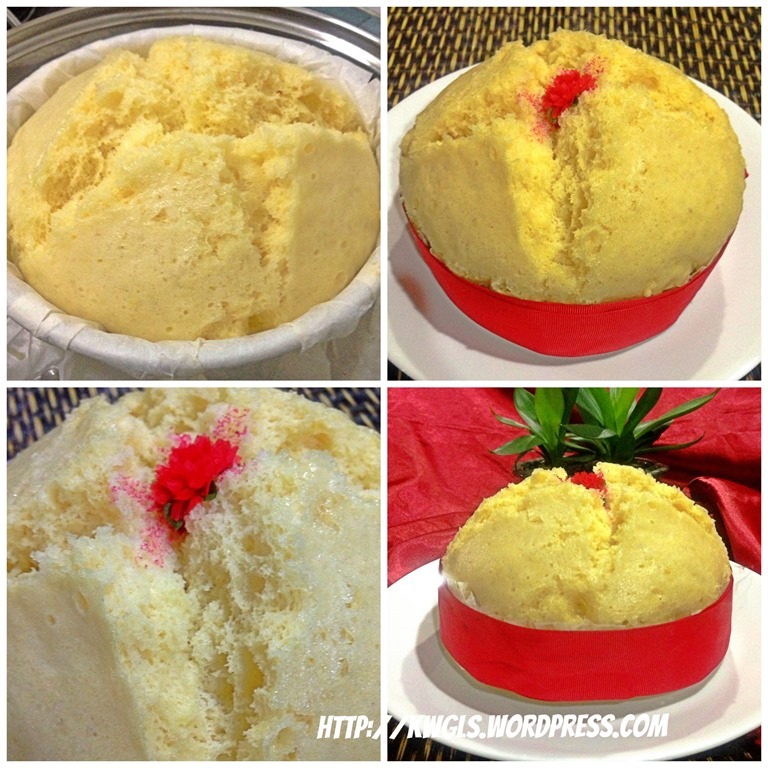 I have posted another steamed sponge cake recipe in https://kwgls.wordpress.com/2013/08/15/my-steamed-sponge-cake-kuey-neng-ko-is-full-of-gas-%E6%B1%BD%E6%B0%B4%E9%B8%A1%E8%9B%8B%E7%B3%95%EF%BC%89/. You can follow the link to understand another way of making this steamed sponge cake. 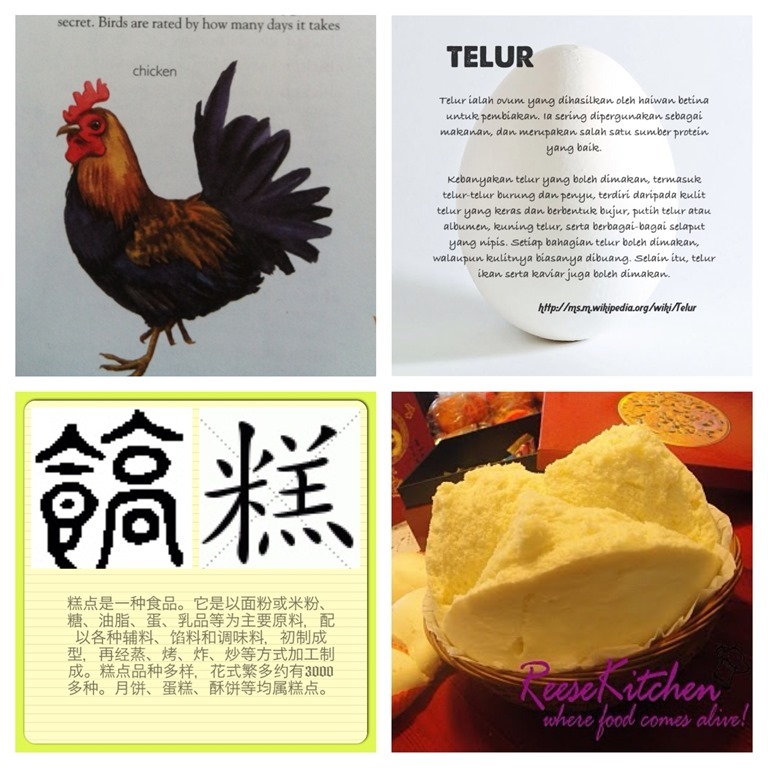 This entry was posted in Cakes and cookies, Creative Food Series and tagged 10, 8, CHINESE, chinese steamed sponge cake, 鸡蛋糕, ma la gao, malaysia, postaday, singapore, sponge cake, traditional cakes. Bookmark the permalink. ← I insist that I am beautiful even you want to chase me out of this house! 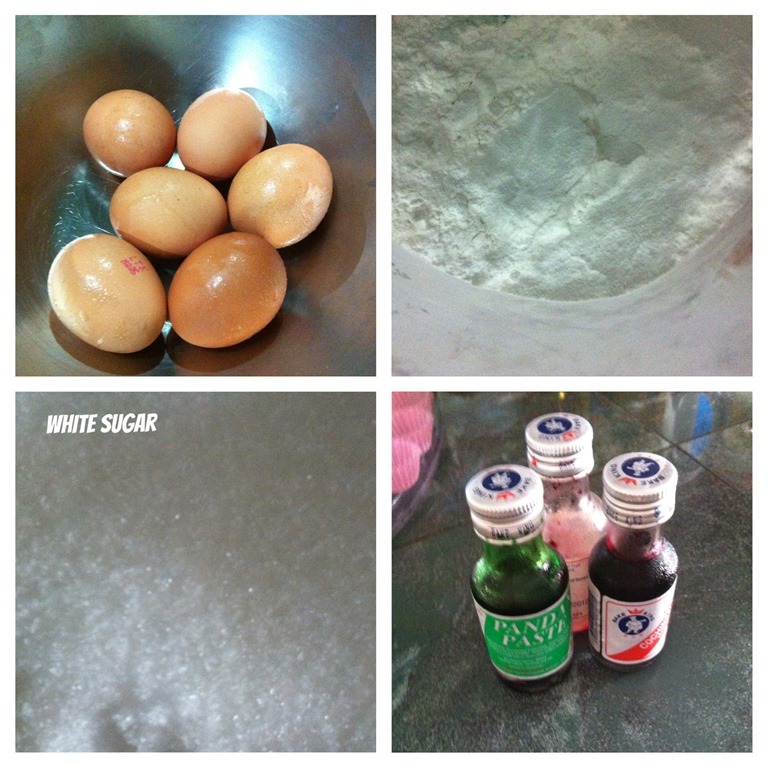 wanted to make this ‘Chicken Egg Cake’ long time ago but always ended up get the ready made one from the store. Not too busy though after read thru your post esp. the way you describe in beating the egg. I knew i’m not very good at it. I shall try to make this on the coming weekend, may text you if I need your help ^ – ^ Thanks for sharing – much appreciated! No problem. You can start with this ratio 1:1:1. If not sure, try one egg or two eggs. It is very fast if you have an electric mixer and a steamer. If your output is too hard or too soft, you can adjust accordingly. By the way, any fail attempt will cost you the most 2 eggs and maybe half an hour of time and a bit of electricity.. and you can gradually modify to suit your taste. If you use a hand mixer, it will be slightly longer.However, if you are tired of hand beating, just put it in the steamer and steam, it is still edible! LOL .. If you greased it, there is no need. If you don’t you will need to have baking paper or paper cups.